After going through some pretty rough months at the beginning of the year, I have found it extremely therapeutic to appreciate the small things in life. Everything is blessing! So here are some awesome moments from the past week. 1.) Our church (Lifeline Church) passed out water and lanyards at the Virginia Tech Gobbler Fest and we had an awesome time. 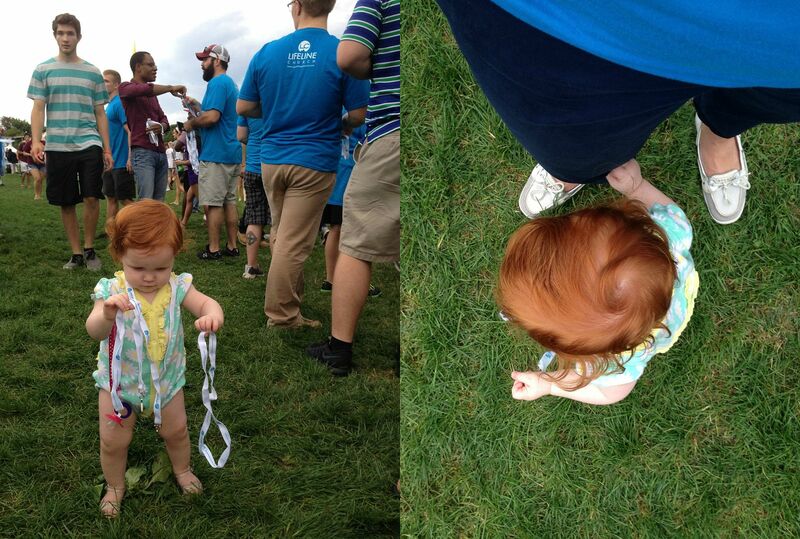 There was even an adorable little redheaded helper. 2.) 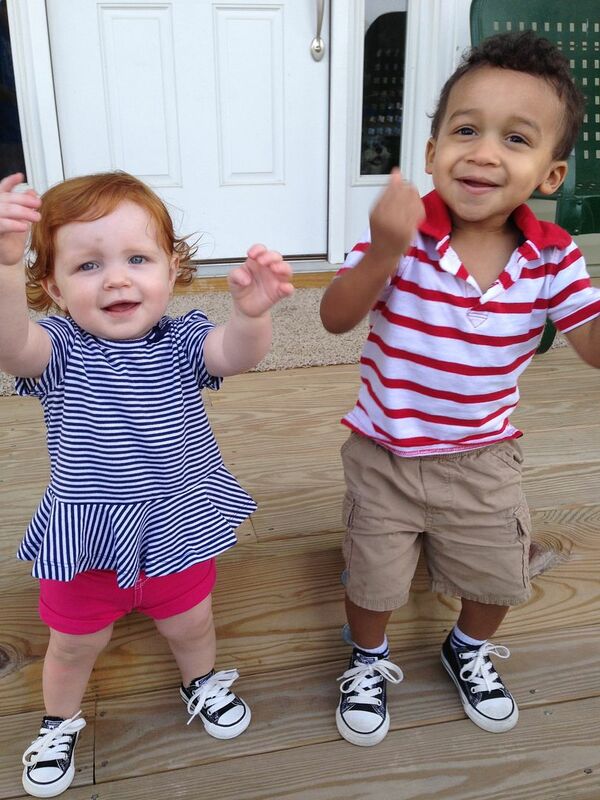 Happy kids in chucks. Enough said! 3.) I started working some part time hours with Roanoke Children's Theatre this week. One of my friends and former co-workers opened the theatre and it has been awesome reconnecting with Pat and jumping back into the theatre/working world; even for just a few hours. 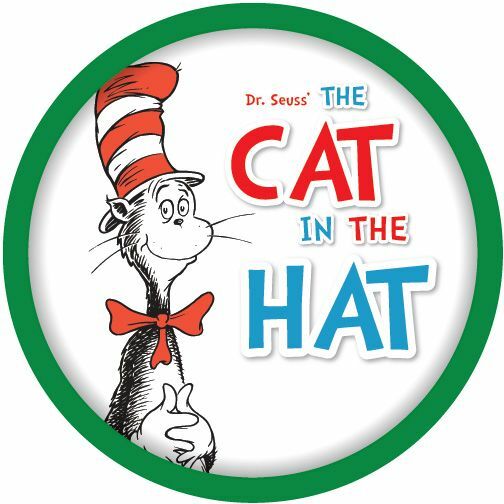 The first production starts next month (The Cat in the Hat) and I can't wait to see it! 4.) 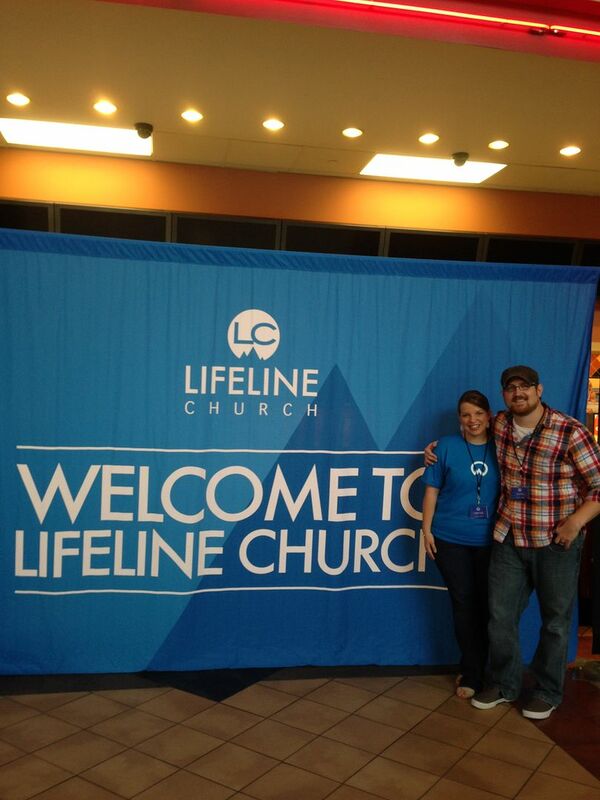 We had a very successful launch of Lifeline Church. 183 people were in attendance for our very first service and 5 individuals gave their life to Christ. I'm so excited to be a part of this church and to see it transform lives in the New River Valley and beyond! 5.) After building a virtual friendship with this very special lady for the past two years I FINALLY got to meet my sweet friend Jenn in real life! Jenn and I both started our blogs around the same time and she has been an incredible encourager and supporter all along the way. And to be able to hug her is incredible. Jenn has also joined my fast growing Rodan + Fields team and as I type I'm getting to spend the weekend hanging out with her. I'm linking up this post with Lauren Elizabeth, September Farm and Meet @ the Barre. yay for a blog meet up. Have a great weekend. How awesome it is to hear that 5 people gave their life to Christ! Awesome! And I agree, yay for blog meetups! Stopping by from the link-ups, love your blog!! blessings, new friend! Are you living in Roanoke now? I drove right through there on my way to North Carolina! Hope you had a blast in Atlanta! 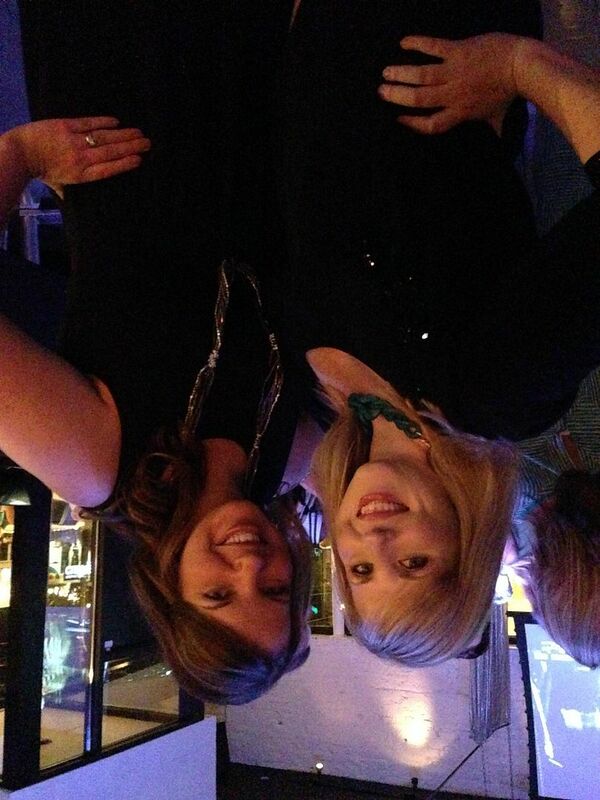 Love you sweet friend!